The financial security of the Lyon family is on the line as their LFM showcase quickly approaches. Kai’s (guest star Toby Onwumere) research for an expose on Empire uncovers some dirty activity within the company and causes conflict with Jamal. Meanwhile, Hakeem and Tiana finally reach an agreement on how best to move forward with their relationship, Andre struggles with his decision to let a new love interest in and Kingsley strikes a deal with Giselle. Air Date: Wednesday, Dec. 5 (8:00-9:00 PM ET/PT) on FOX. 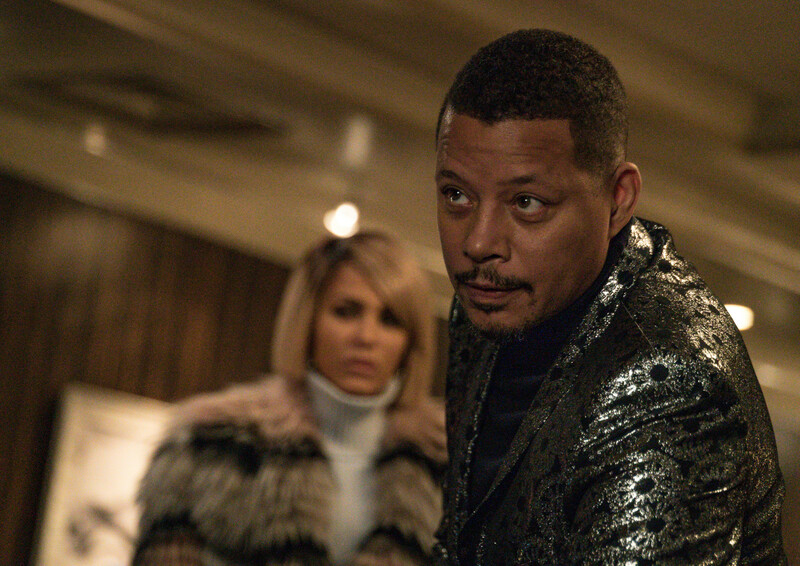 EMPIRE: L-R: Nicole Ari Parker and Terrence Howard in the "Had It From My Father" fall finale episode of EMPIRE airing Wednesday, Dec. 5 (8:00-9:00 PM ET/PT) on FOX. ©2018 Fox Broadcasting Co. CR: Matt Dinerstein/FOX.